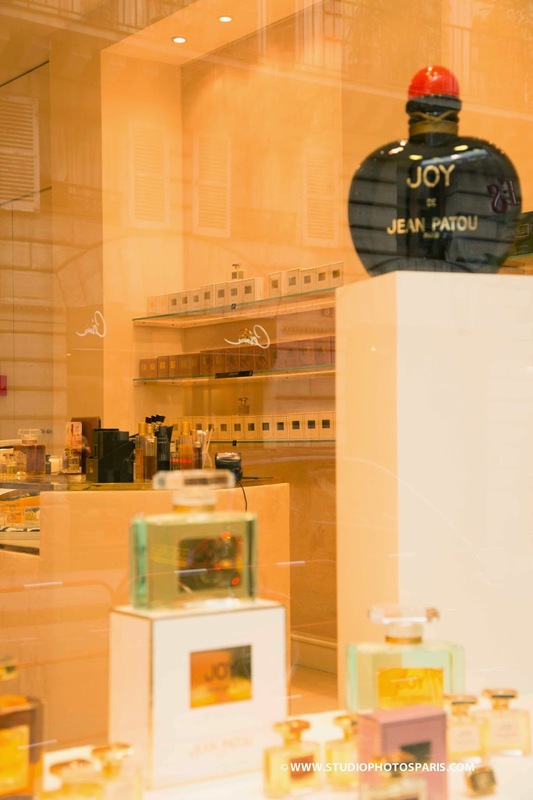 One more address to add to your Parisian perfume pilgrimage: 9 rue Saint-Florentin, right by the place de la Concorde. This is actually where the couturier Jean Patou (1887-1936) had his boutique and studios: the house stayed at this address from 1914 to 2004. When CEO Bruno Cottard decided to move from the rue de Castiglione, he started his search with the rue Saint-Florentin. Serendipitously, premises were available. So he’s managed to bring Jean Patou back home, which he takes as an excellent omen for the revival of the brand: ultimately, the plan is to reopen the fashion branch. 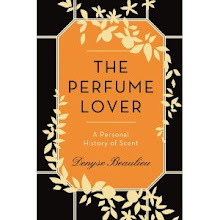 The boutique is larger and equipped with a couch to sniff at one’s leisure with the Monclins, those cognac glasses with the foot sawed off to let a blotter through that Jean-Michel Duriez introduced when he was Patou’s in-house perfumer. It will soon be decorated with Art Déco furniture owned by the couturier and preserved by his great-nephew Jean De Moüy. Other brands owned by Designer Parfums – including the first Jean-Louis Scherrer, a wonderful green chypre – are also available. The Jean Patou line-up has been restored by Thomas Fontaine to its original formulas with the help of the former in-house perfumer Jean Kerléo – inasmuch as new regulations would allow. A living encyclopedia, the 80-year-old Kerléo was often able to suggest equivalents for discontinued ingredients. The “heritage” collection, now comprising Eau de Patou, Chaldée and Patou pour Homme, will soon expand with the three first fragrances launched in 1925 by Jean Patou: the green floral Amour Amour, the gardenia-themed Adieu Sagesse and the fruity chypre Que Sais-je? In 2015, a new trio including L’Heure Attendue, Vacances and a third I couldn’t get confirmation on – my bets are on Normandie or Colony, but it’s definitely not Moment Suprême. The Cocktails might follow. Joy Forever is being launched in an eau de toilette version for the summer. The woody and musk notes have been toned down. Since musk tends to wrap other notes, going easier on it gives more breathing space to the quintessentially French rose-jasmine and iris-galbanum accords, and I find they express themselves more fully. In fact, Joy Forever edt does just what it says on the label: it’s joyful. Just checked their website and not one retailer in Canada... not one! This must be a clearcut example of alienation of affection! 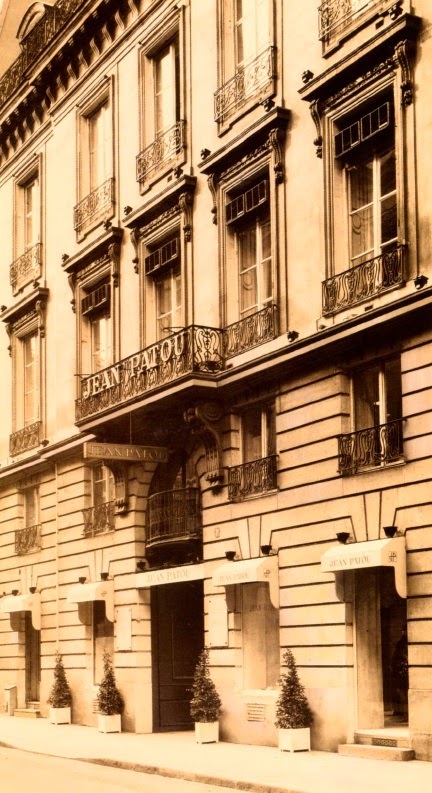 A Jean Patou store. I can hardly imagine a finer place to browse. Normand, it's truly a shame that Canada has so few options. Every time I write a piece for a Canadian magazine it's tricky to find brands that are available! There seems to be a genuine initiative to revive the heritage of the Patou brand, doesn't there, rather than merely gesturing at it. It's a genuine dilemma for a lot of the older brands, it seems to me: they want to keep the prestige and glamour of their glory days, but need also to drive ahead find and keep new customers with products that young people want to buy. Chanel and Guerlain do it really well of course, but Dior, Givenchy, Rochas and Caron? Not so sure. Putting the brand's 'classics' into uniform bottles is the kiss of death, of course. Hermes seems to manage by keeping its classics in the lineup while not acknowledging them as classics, particularly. They are just - there. The brand seems to be eternally youthful without discarding its heritage. I agree with all your points. That said, putting classics in the same bottle, which Hermès just did, is certainly preferable to discontinuing them. From what they were explaining when they presented the line, it seems that the minimum number of bottles you have to order from the manufacturer is so large that it becomes much too costly to maintain fragrances with a smaller following in their original packaging. Chanel, Guerlain and Hermès put a lot of work into maintaining the quality of their classics, which is the most important thing. Patou is reinventing itself halfway as a niche brand, and truly does care about its heritage. So even if the bottles are the same, and the price point is higher, it's fantastic that they are rebuilding their portfolio that way. I love the fact that Eau de Patou is back and would also love to see the boutique when I go to Paris. I find the cost of the Eau rather steep now, cannot remember it as a major splurge during my college years. My grandmother loved Joy and we were always told it was the most expensive perfume in the world, which clearly it cannot have been. So glad some classics remain, I refuse to start hunting the net for vintage. As for Joy, its price point may not be the highest nowadays, but Thomas Fontaine swears it remains the costliest to produce. At least up to the mid-70s, it *was* among the most expensive. This seems so exciting! I was hoping, when I saw this blog post, that you would say they are bringing back Vacances, and they are. 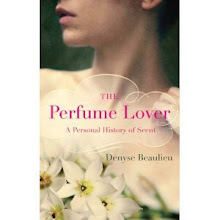 Hopefully it will have the same integrity as the original, because what a stunning perfume. What great news! Isn't it? Personally, the one I'm waiting for most eagerly is Que sais-je?, because I'm so partial to fruity chypres. I'd love a fresh bottle of Colony as well for the same reason! Well if you go back to the main page and scroll down, under the French version of this post, you'll see I did write about it and that I put up a link. Ah, this is music to my ears! I think Mille may be the best chypre ever, and Eau de Patou is elegant. I am glad the world will be able to buy these fragrances and have the quality intact. I really like the new bottles-I would love to have these on my vanity! And I admire the adherence to the original quality of the house. I have two bottles of 1000 in my collection but still couldn't resist smelling it again in the shop! It truly is beautiful, isn't it? Good news... How I wish to go right now to Paris, Rue Saint-Florentin ! We have in Romania one retailer that brings Joy, 1000, Sublime and Joy forever - in EDP and EDT concentrations, but testers only in EDT. My bottle of Joy EDP was brought from Paris in 2008. I will deffinitely finish it during this spring. Joy EDP and extrait are on my must-smell list. And 1000 and Sublime are on my top five wishlist - they are so feminine, so classy, so... genuine French Chic! How wonderful have to be the resurrected Patou Perfumes... How could I get samples for them, as I have no possibility to travel to Paris sooner than, let's say, best case, October- November? A failure in my post: I have the Joy EDT and am keen to smell the EDP and extrait, as I read the Rose is more potent in the stronger concentrations. EDT is about jasmine ans I have a love/hate relationship with white flowers, especially jasmine. That's why this bottle is 6 years old and not empty. I'm not sure there *are* samples for the Patou Heritage collection. I guess the best bet are the decanting services, but maybe you can write the brand on the Patou website?